It looks like with the iOS 10.2 update comes a new app, simply named “TV.” It replaces the old Videos app that very few people actually used (who saves videos onto iOS when it’s so tedious?). If you have Hulu installed, you will have the option of linking it to the TV app so that Apple can learn about your viewing habits. That’s not me being paranoid, you will literally get a pop-up telling you that Apple will be monitoring what you watch. If you do link a streaming service to the Apple TV app, that does not mean that you can actually view those videos from within the TV app. When I linked Hulu, I found that trying to watch Hulu videos routed me out of the TV app and into the Hulu app. From within the TV app, you can browse part of the Hulu catalog, but definitely not the entire thing. I was able to find Hulu episodes of Family Guy from within the TV app, but not Adventure Time. It looks like the TV app, as of now, is not designed to enhance or provide a streaming service. In my opinion the TV app is extremely useless unless you want to buy videos from iTunes. If you do decide to do that, you’ll be able to view your purchased videos on both iOS and Apple TV. I’m not alone in thinking that this app is pretty much a waste of time for most people. However, this might not be the case forever. It looks like Yahoo News is predicting that the Apple TV app is actually a precursor to an entirely new streaming service. In regards to mobile device management (MDM), this app is too new to be controlled by any MDM platforms. As of this writing, the Apple Configurator Tool was last updated on September 13, 2016, which means that even Apple’s official tool cannot create restriction policies for the TV app. However, MDM restriction policies already exist for the iTunes store, apps, and music. SAP Afaria has had these policies available for years. 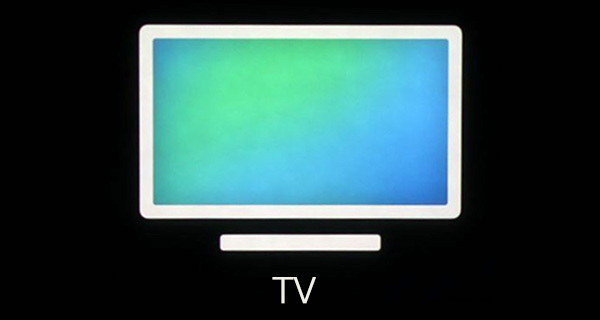 I predict that eventually Apple will allow the TV app to be managed by MDM. Based on MDM history, Apple has already acknowledged that enterprises will want to manage the type content that employees see on their mobile devices. It’s just a matter of time before Apple releases the same type of MDM capability to restrict the TV app. The only thing weird is that…they released the TV app before MDM can even restrict it. I’m sure right now there are companies out there that are unhappy that their employees can use the TV app on their upgraded iOS device (unsupervised devices cannot be prevented from upgrading). Time and time again, Apple has proven that they value the common consumer before the enterprise. But it’s this type of thing that makes being an MDM admin interesting! Looks like if you are a Comcast customer, you might have some SSO problems with the TV app. That means that you will have to do multiple sign-ins to see all content. Netflix and Amazon Prime are completely incompatible.